On 29-30 November 2018, the first out of two regional dialogues on Interethnic Relations and Social Cohesion in the Republic of Moldova of the CIVID-project took place in Vadul lui Voda. 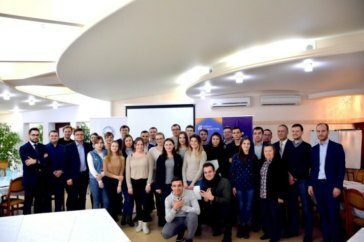 The event was open to young people, civil society experts, representatives of academia and the business community as well as civil servants from different regions and different ethnic groups. The purpose of the event was to generate a discussion on how to strengthen the dialogue between ethnic groups and on how to identify practical solutions. A total of 35 participants discussed in a world café format challenges and recommendations for improving the interethnic relations in various fields such as education, access to media, social rights and economic development. Improving the Economic development: the creation of centers for the development of regional entrepreneurial skills; creating voluntary Romanian language learning centers in the regions; developing tourism infrastructure; internships for young people in different regions of the country; the development of local and regional brands. Media education: improve funding of national/regional media as well as television programs to promote intercultural dialogue broadcasted with subtitles; educate youth on how to find reliable information on the internet, deal with fake news and develop critical thinking; translation of website into minority languages; develop short videos on minority rights and present success stories of minority representatives. Social aspects: disadvantaged groups and various ethnic groups are suffering from stereotyping; ethnic segregation leads to increased levels of intolerance in society; language barriers are existing and sometimes prevent from receiving social/health services; the teaching methods need to be adapted to teach Romanian as foreign language for minority groups; language courses should be offered in preparation for jobs in the civil service. EU Association process: the EU-Moldova Association Agreement (AA) is partially perceived as geopolitical document, from others as reform program; there is a need for better public information (in Russian) on the AA to counter misinformation; more pressure from civil society on political parties to discourage populist and demagogic rhetoric; the process of implementation of the EU-Moldova AA should be accelerated since it provides equal rights for all Moldovan citizens. The regional dialogue is part of the project “Promoting civil society and inter-ethnic dialogue in the Republic of Moldova in the context of the EU association process (CIVID)“ that the Institut für Europäische Politik is implementing in partnership with the Institute for European Policies and Reforms (IPRE) and the Institute for Strategic Initiatives (IPIS). 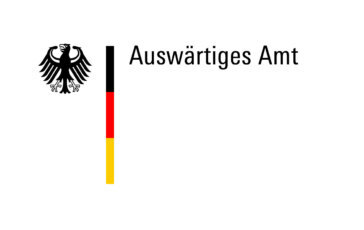 The project is kindly supported by the German Federal Foreign Office. For more information on the CIVID project click here. For the press release of our local partner IPRE.